Here's that old postal service slogan with a birdwatching twist! Birding is a hobby to be enjoyed in all weather and all times of day or night. Just like there's always mail, there are always new birds to add to your list! 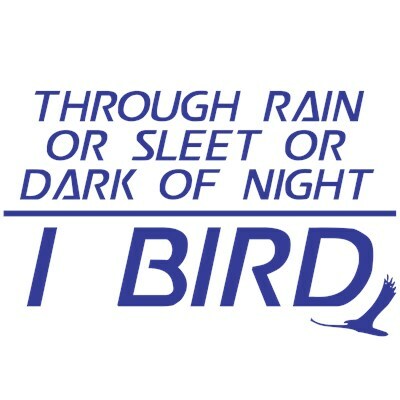 Through rain or sleet or dark of night, I BIRD! 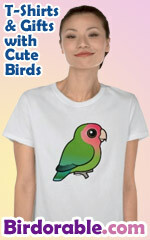 Great gifts here for birdwatchers of all ages! To order by phone, call toll-free at 1-877-809-1659 from Monday - Saturday 9:00am - 9:00pm EST. You'll need to note the Product Number 030-220111677 to make your order.